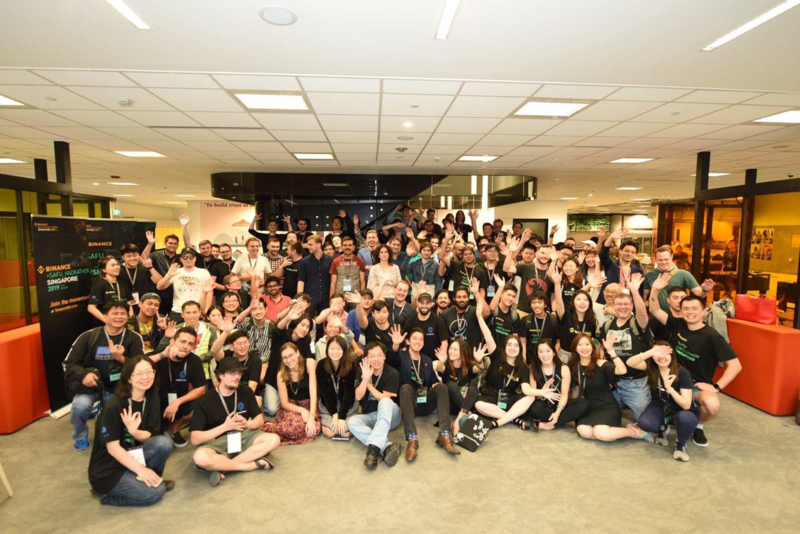 Binance held a two-day hackathon during Binance Blockchain Week. Get to know the winners of this competition, plus some of the highlights! At Binance, we support developers who constantly come up with solutions for improving the blockchain ecosystem, most recently through the just-concluded Binance SAFU Hackathon. Held in Singapore during the Binance Blockchain Week, more than 100 developers were tasked to BUIDL an open platform that protects crypto users against scams, hacks, and money laundering schemes. 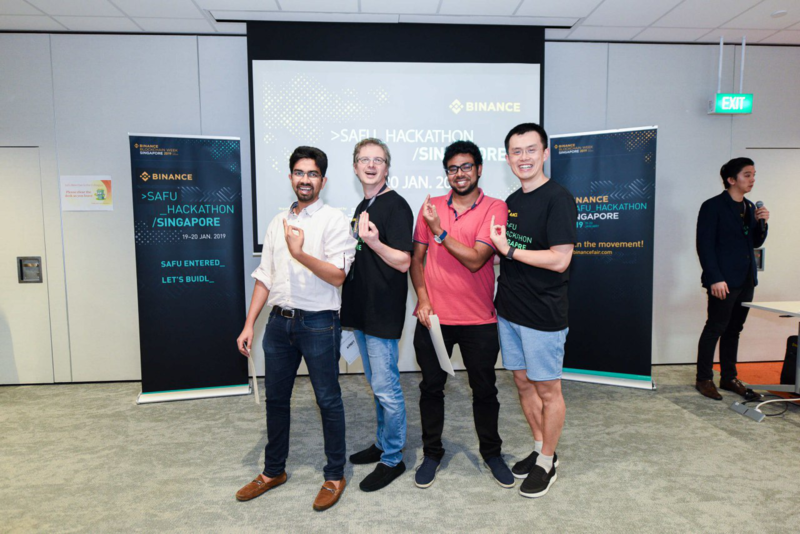 The winning team -- Merkle Blox, composed of Mriganka Pattnaik, Nirmal AK, and Aleksey Studnev, presented a pitch for a smart-contract-based insurance system for users who experienced attacks. The team won up to US$50,000 worth of Binance Coins, while the second- and third-place teams (Crypto Lynx and Perlin) respectively won US$25,000 and $15,000 worth of Binance Coins. Congratulations! 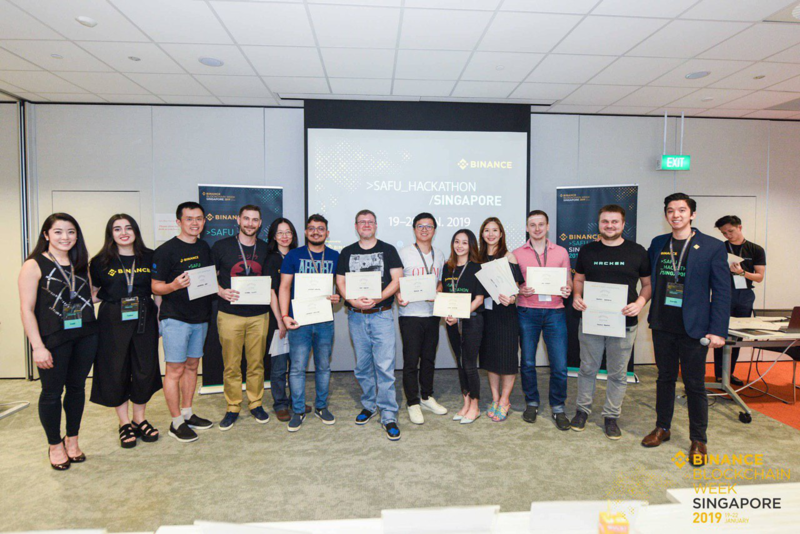 The Binance SAFU Hackathon was created as an integral part of Binance Blockchain Week, the first major blockchain event of its kind for Binance. True to our BUIDL philosophy of constantly developing and innovating, we start our event with a 32-hour, round-the-clock hackathon featuring some of the best blockchain engineers in the world. We recognize that we still need a safer digital asset world in order to build core blockchain infrastructure and useful real-world applications on top of it. Hence, developers from around the world were called to build a safer community where users are protected from scams, hackers, and money laundering. Before the main hackathon, we held pre-hackathons in San Francisco on December 11, 2018, and in Seoul, Singapore, and Hong Kong on January 12-13, 2019. The winners of those pre-hackathons, the list of which we’ll reveal below, then moved on to the main event in Singapore this weekend. 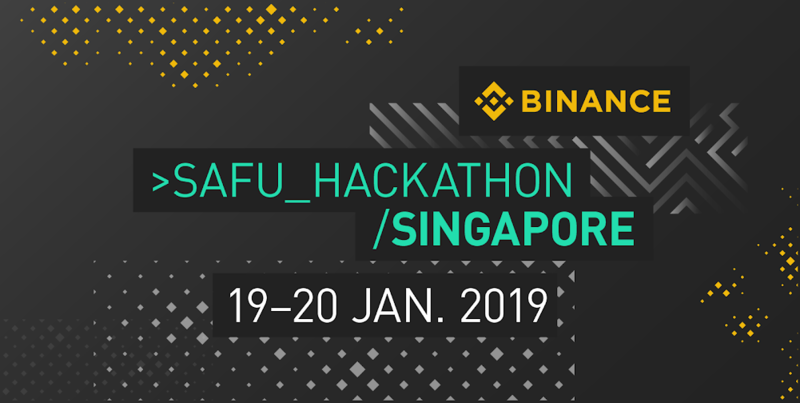 The 32-hour Binance SAFU Hackathon began in the morning of January 19, 2019, where more than 100 talented blockchain developers converged at PwC Singapore. After a briefing session, the developers formed teams and planned their solutions to the designated challenge. The developers were challenged to build a platform for users to quickly check whether a public address is safe. This platform should also incentivize contributors to report public addresses that are deemed hacked or malicious. The teams then met with 10 blockchain thought leaders,––our mentors for the competition––to refine their ideas. The main hackathon commenced immediately afterward. On Day Two, teams spent their mornings refining their pitches for the solutions they came up with. After sessions for pitch tips, tech runs, and mock pitches, the teams presented their solutions to a panel of seven judges, all recognizable names in the blockchain industry. The judges weighed on each presentation based on these four criteria: technology, creativity/innovation, a demo of the solution, and pitch quality. Out of the 20+ teams that presented, six teams advanced to the final round. Some of the noteworthy ideas the SAFU Hackathon finalist teams presented include the use of deep graph analytics (from Team Crypto Lynx), avalanche consensus on a custom ledger (from Team Perlin), an e-commerce platform for a database of user reputation (by Team Shark), and a crypto scoring platform (by Team Phenom). And while a lot of their ideas are exceptional in their own right, the winning team, Merkle Blox, proposed a smart contract-based insurance to users who are attacked by hackers, ponzi schemes, or phishing scams. Merkle Blox, composed of Mriganka Pattnaik, Nirmal AK, Aleksey Studnev, will have a chance to meet Binance’s senior leaders, as well as potentially access incubation programs run by Binance Labs, the investment arm of Binance, and Tribe Accelerator, a Singapore government-backed blockchain accelerator. Special Thanks to All Hackathon Participants! 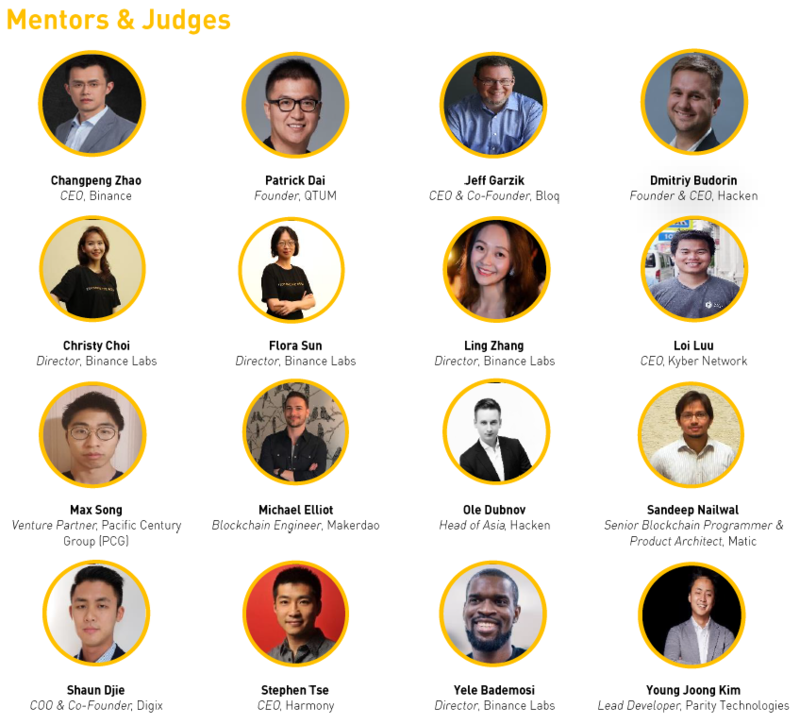 We at Binance SAFU Hackathon thank the mentors and judges who participated in the event, for sharing their knowledge and expertise to our developer participants, as well as assessing the strengths and merits of our developers’ pitches. * Proposed an innovative chain analysis method for AML prevention. * Proposed the use of a Telegram bot to submit and query scams related to information in Telegram chats.